TNPSC Combined Engineering Services Examination 2018-2019 Apply Online Application Form for 324 Assistant Engineer (AE) (Civil), Assistant Engineer (AE) (Electrical) Posts at Official website www.tnpsc.gov.in. TNPSC CESE AE Jobs Notification 2018 Released. The Interested and Eligible Candidates are requested to apply online through Official website www.tnpsc.gov.in. The last date for submission of Online applications is 26.03.2018. 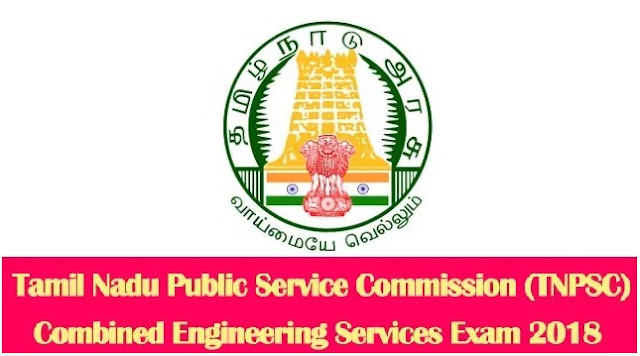 TNPSC CESE Recruitment 2018-324 Assistant Engineer - Apply Online. Assistant Engineer (Electrical) PWD - A degree in Electrical Engineering or Electronics and Communication Engineering OR A pass in Sections A and B of the Institution Examination with Electrical Engineering as a subject. Assistant Engineer (Civil) in Highways Department - A degree in Civil Engineering OR A pass in Sections A and B of the Institution Examinations under Civil Engineering Branch. Assistant Engineer in Rural Development and Panchayat Raj Department - A degree in Civil Engineering OR A pass in Sections A and B of the Institution of Engineers (India) under Civil Engineering Branch, subject to the condition that he/she should furnish evidence of having undergone practical training in surveying for a period of not less than one year.